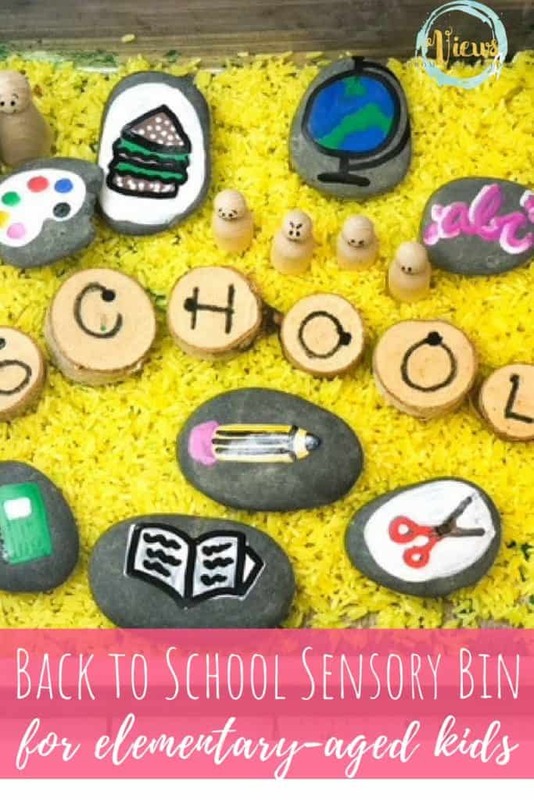 This school sensory bin has everything you need to get your child emotionally ready to go back to school. Including painted rocks and emotion characters. 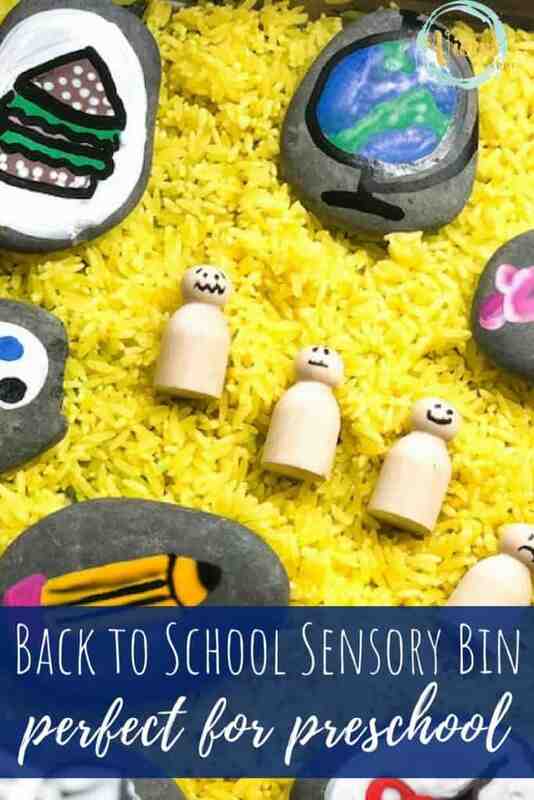 This sensory bin is excellent for allaying back to school nerves in kids. 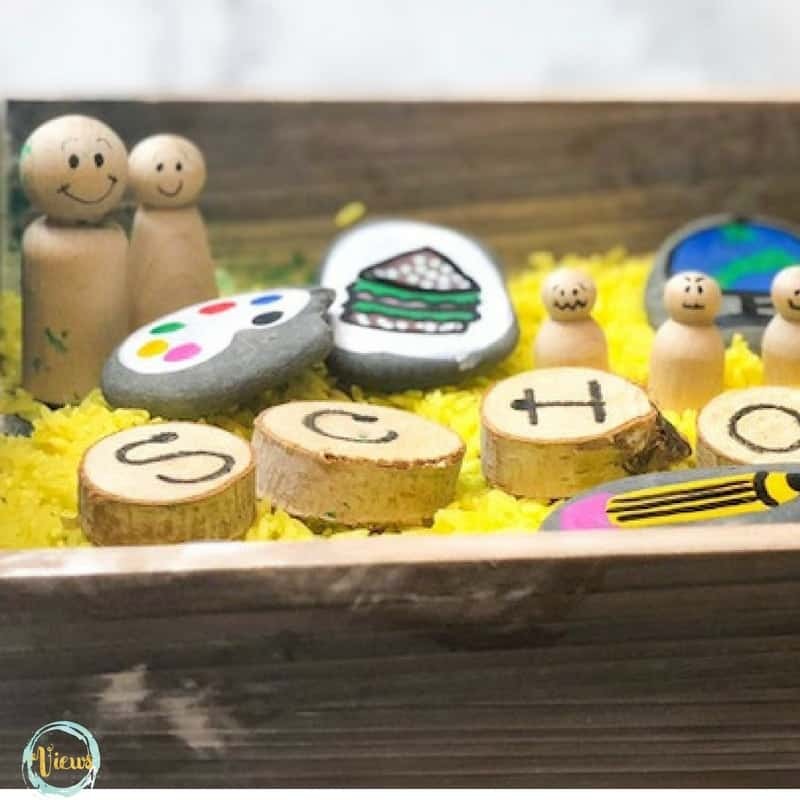 Through play, children are able to express their anxieties or areas of nervousness, giving parents and teachers great insight for how to help their children through this time of transition. 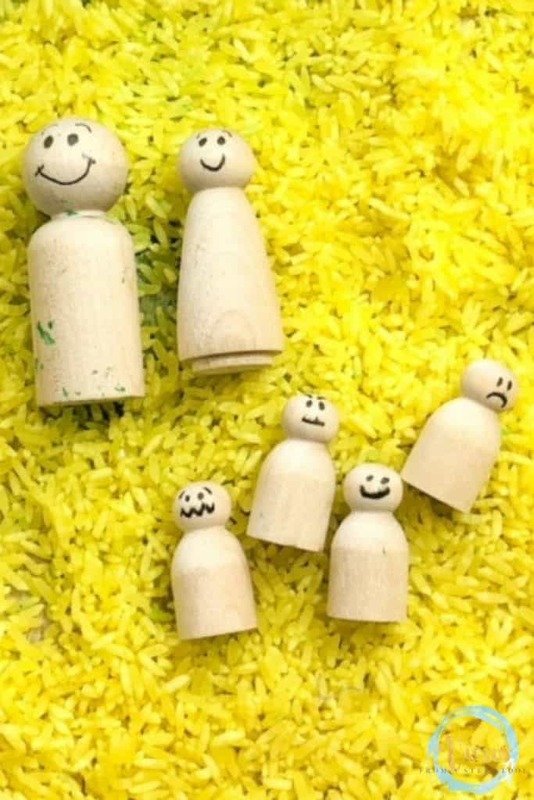 Assemble the base of the sensory bin by dying the rice yellow. We used paint for this but yellow food coloring works well too. Place your white rice in a zippered bag. Add the yellow paint or food coloring. Close and shake until all the rice is colored. Spread rice on a baking sheet covered in wax paper to dry. 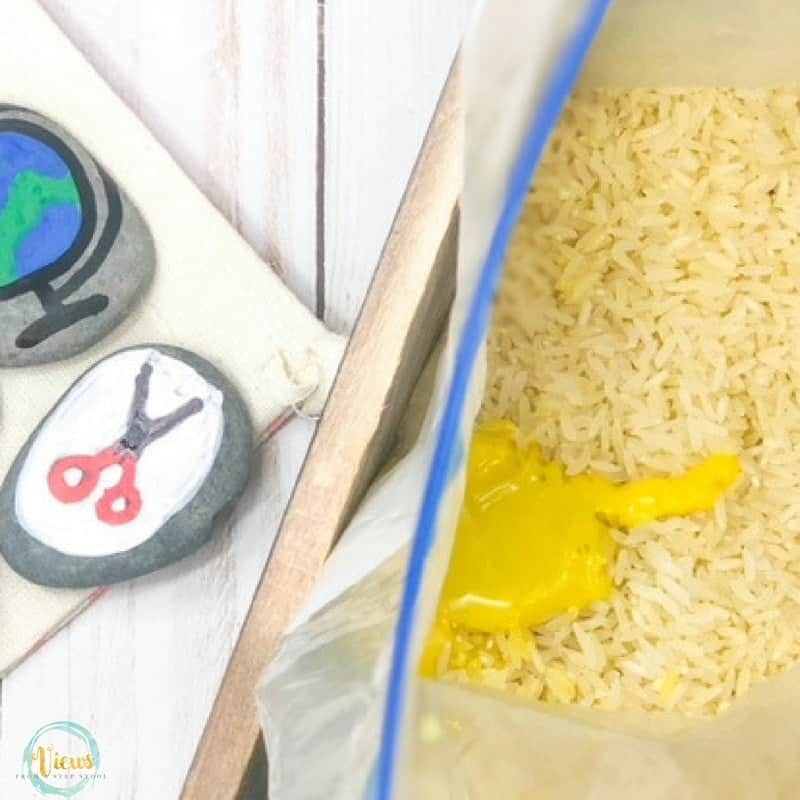 When dry, add the yellow rice to the sensory bin as a base. 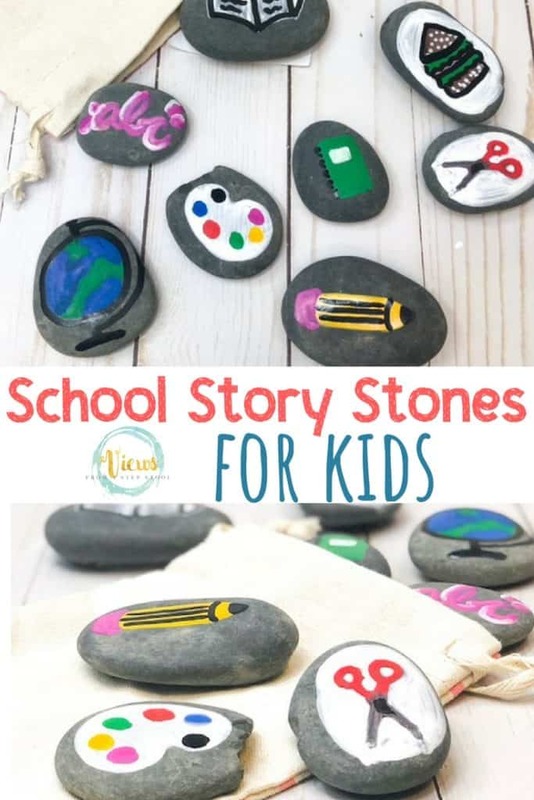 These story stones are great to add to the yellow rice for any age. I used these back to school graphics as a template for my drawings. I simply purchased the set, printed them out, and then copied them free hand onto the rocks using paint pens. 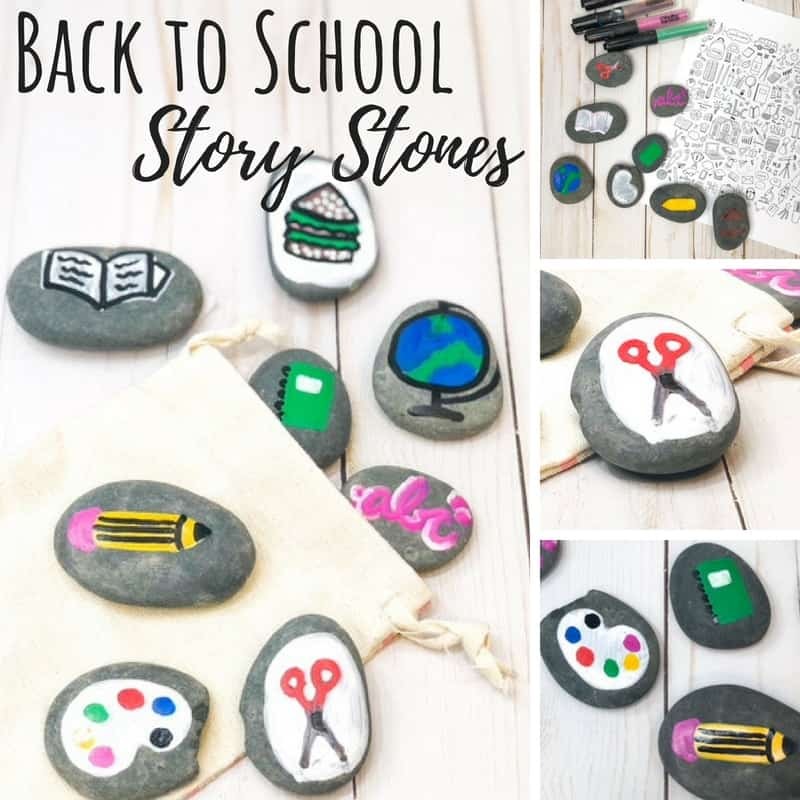 They aren’t perfect, but as long as the kids can tell what each rock represents, they are great for discussing what they might be using or learning in school. 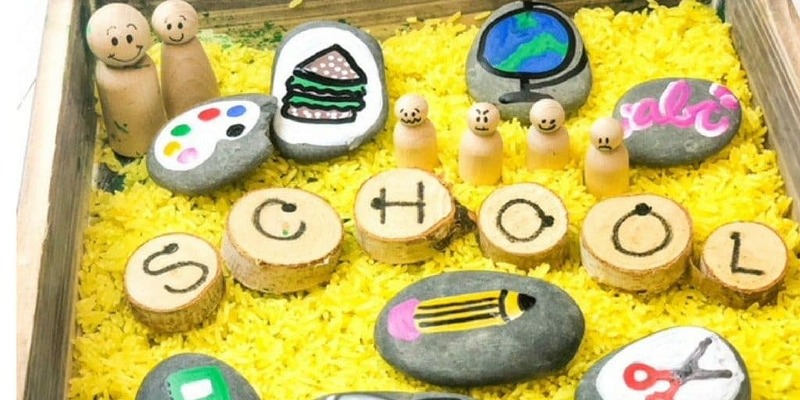 Add the rocks to the yellow rice and play! Toddlers love to scoop and pour rice. 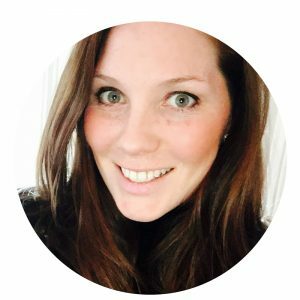 If you have a young toddler entering school, use this opportunity to discuss things like a parent dropping them off in the morning, and picking them up at the end of the day. Preschoolers are excellent at talking about their emotions if given a safe space to do so. 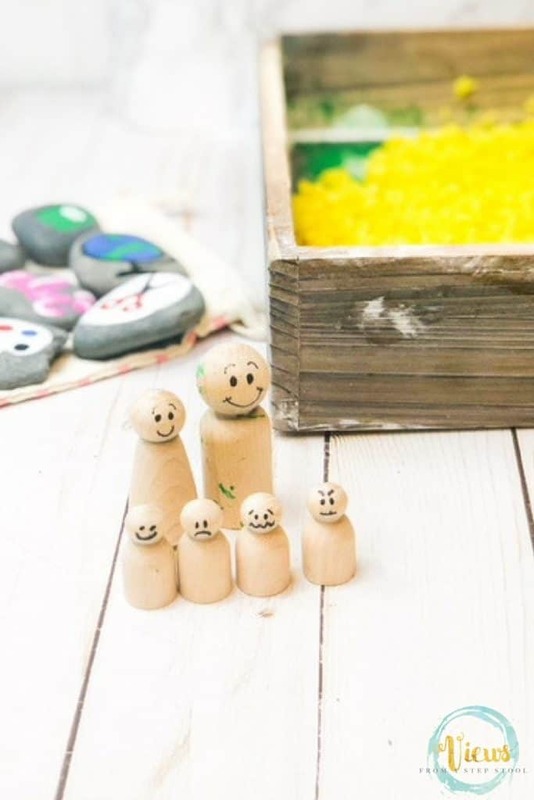 We painted some emotional faces on wooden dolls to represent different feelings, along with a couple of teachers. The feelings of the children included: happy, sad, nervous, and mad. In play we discussed some different scenarios and then asked the children which doll looked like how they would feel. Example scenarios included mommy or daddy dropping them off, eating lunch at school, playing with a new friend, arguing over a toy, etc. This was a great opportunity to talk about feelings and common preschool scenarios through play. Elementary aged kids can certainly benefit from the emotional role play as mentioned above. 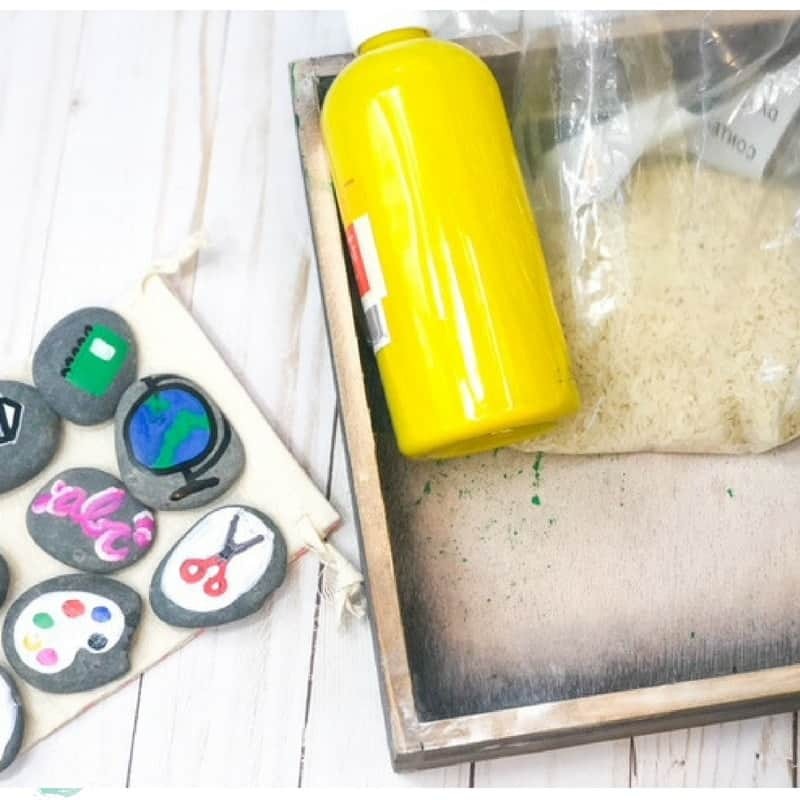 Go into more elaborate and age-appropriate scenarios for your child. 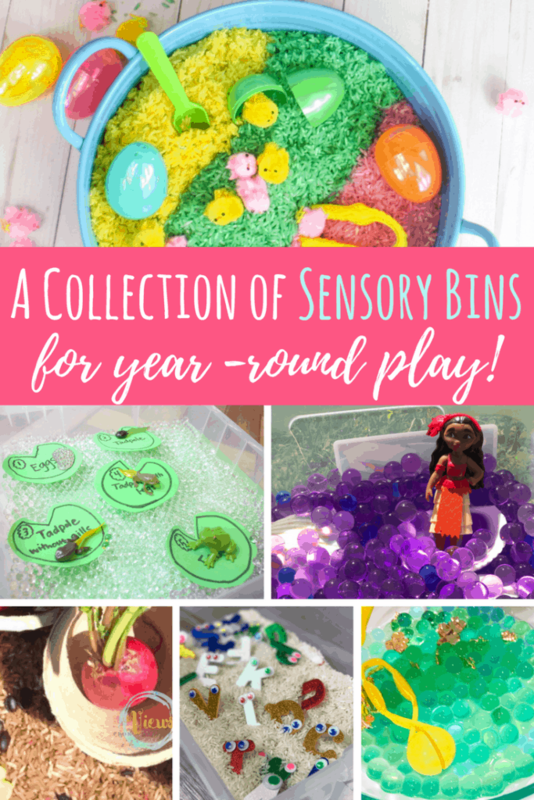 Here is a list of questions to ask your rising Kindergartener that are great while engaging in sensory play. 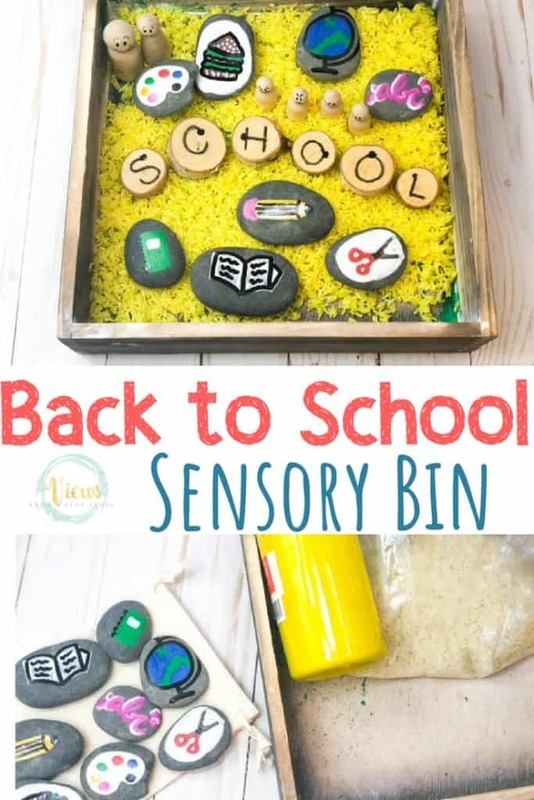 Additionally, to a bin for older ages, we added some wooden rounds with letters to practice building words and thinking about sight words and letter sounds. 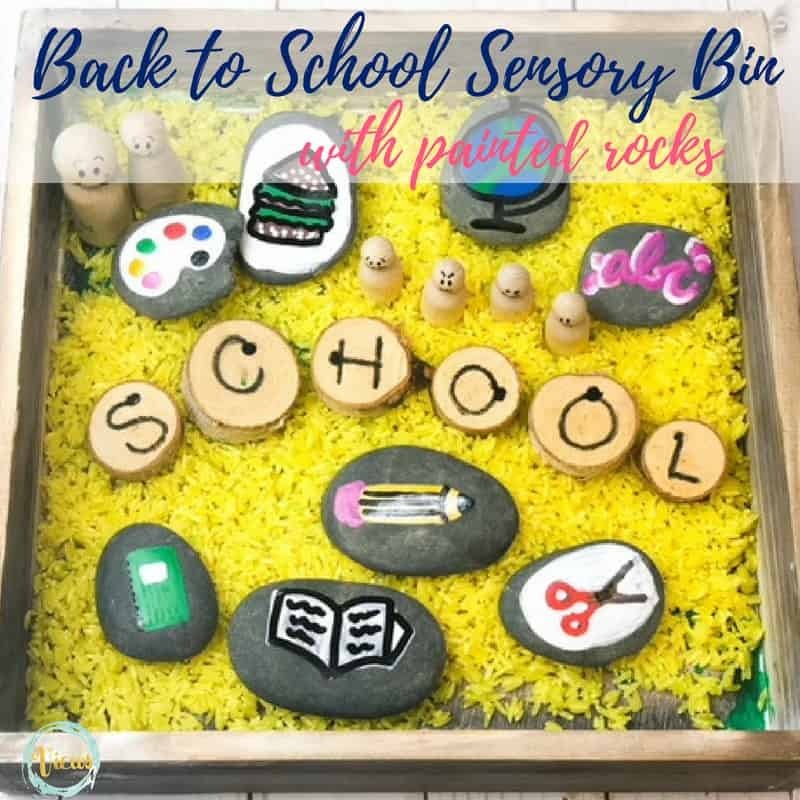 I hope you find this back to school sensory bin useful as you prepare your own students or children for a great year going back to school! 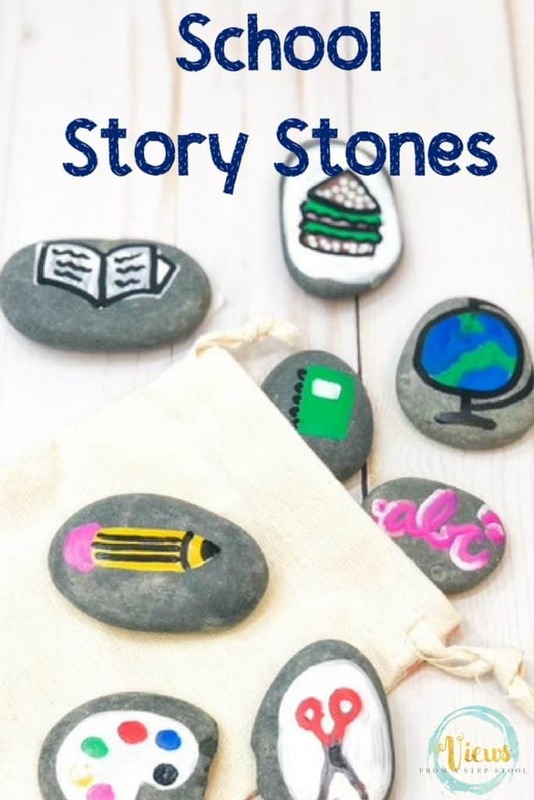 Bonus: keep the story stones around to prompt discussion about how their day was!